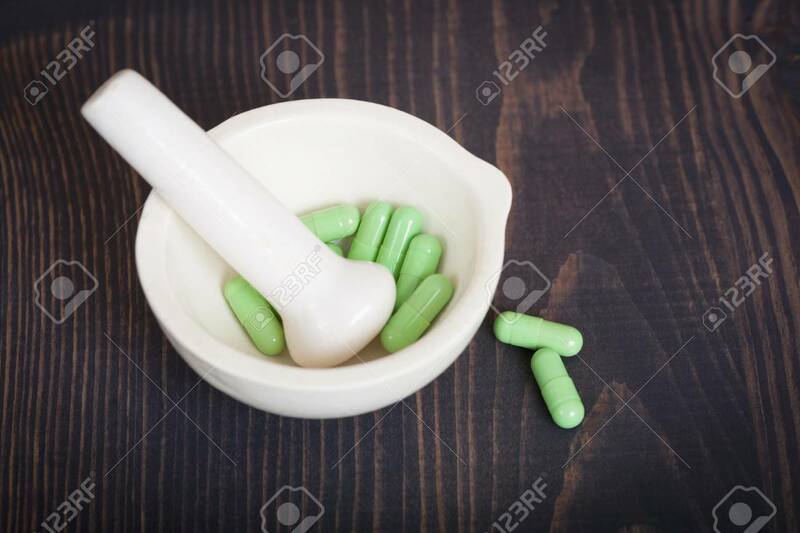 Pharmacy Pestle And Mortar With Green Capsules On A Wooden Table. Stock Photo, Picture And Royalty Free Image. Image 117584668.